The Centre has deployed all three wings of the armed forces in a massive rescue operation as flood situation worsened in Kerala as heavy rain continues triggering landslides, inundating houses and roads and stranding people across the state. Prime Minister Narendra Modi asked the Defence Ministry to further step up relief and rescue operations across Kerala. He also spoke with Chief Minister Pinarayi Vijayan again this morning. In a tweet, Mr Modi said, the Centre stands firmly with the state and is ready to provide any assistance. On the directions of the Prime Minister, Cabinet Secretary chaired a high-level meeting. The Army, Air Force, Navy, Coast Guard and NDRF have been asked to mobilise additional manpower, boats and helicopters to scale up the rescue and relief operations. Food packets and drinking water are also being rushed. At least 47 people were killed today taking the death toll to 87 in one week. 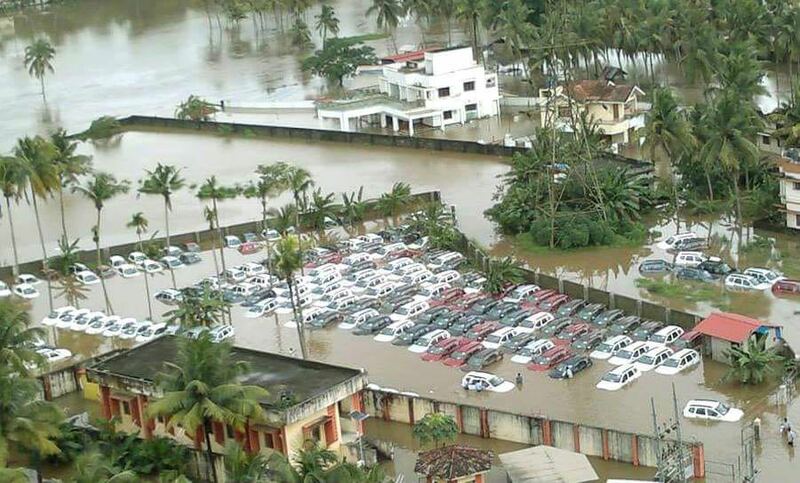 Most of the deaths were reported from Thrissur, Malappuram, Idukki, and Palakkad due to landslides. A red has been issued in all the 14 districts. Thousands have been shifted to relief camps. The MeT department has forecast heavy rain accompanied by gusty winds across the state till Saturday. Chief Minister Pinarayi Vijayan after a conversation with Prime Minister and other Central leaders said, the Centre has sanctioned more men and materials for rescue operations. Chief Minister said the residents in Ernakulam should listen to the people engaged in rescue operations as things can get worse as the Periyar river is going to carry more water. As a result, those living in the area up to one kilometre on either side of Periyar and its tributaries in these places should be on high . Pathanamthitta, Ernakulam and Thrissur districts in central Kerala continued to be the worst affected over the last 24 hours as thousands of people — including kids, students, women and the aged are trapped in their homes. All state media and social media are now being flooded with SOS messages with video clips from people who are waiting to be rescued. Traffic on the national and state highways have been regulated. Train operations between Thiruvananthapuram and Shornur have been suspended till tomorrow evening. 34 dams are still opened and all 44 rivers are overflowing. Central Water Commission Chairman is monitoring the situation at Mullaperiyar dam in view of rising water level and heavy inflow. The Supreme Court today directed the Disaster Management sub-committee of Mullaperiyar Dam to consider reducing water level up to 139 feet from the present 142 feet, considering the grave flood situation in Kerala. The supreme court said a reply regarding the same should be given Friday. 1. #KeralaFloods Just to give everyone an update on the kerala floods. The situation is very very bad.